I'm a lover of crafts of all kinds. I'm a mommy to a little girl who is two years old. I don't get to craft as often now, but still try to squeeze in sometime when I can. Have a FA account? Want To Win A FREE Tail? 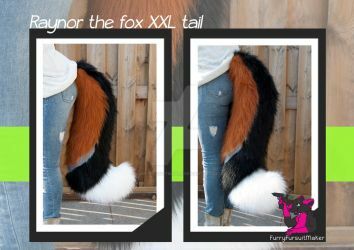 Wanna win a free tail from a Superb fursuit maker? mordrudesmonsters on FA is doing a drawing for a free tail! I did, thanks for remembering. Gonna send the link to a friend. So cute!!!!!!!!. Hey how have you been? Pretty good how about u? Do u think th price of the tails are good or to much? For the size and the fact its two colors of fur yes....but you may be under charging yourself. Thanks for the compliments. It was great sitting next to the both of ya. I think your table went over rather well with our attendees. I did alright. Not as well as I had wanted, but well enough. I hope you will apply for 2014. I will start doing the monthly newsletters again once we have the first staff meeting after Banzai.